Nehru Jackets are a staple in every man's closet. 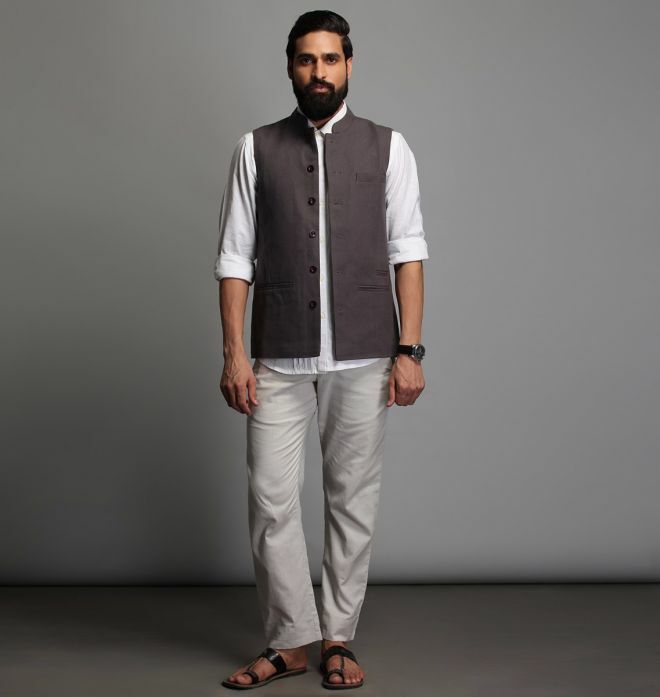 This beautiful, hand-spun cotton steel grey Nehru Jacket is a classic item. The fit is casual, yet formal. Our garments are made from Handspun and Handwoven fabric there are bound to be slubs, knots and inconsistencies which are hallmark of this fabric. Variations & unevenness of colour might occur whilst dyeing the khadi fabric as the yarn has variations in thickness. It is not a defect but inherent characteristics & aesthetics of a fabric where no two creations are identical. Hand wash only. Wash gently with cold water. Do not soak.Wash separately, line dray away from direct sunlight.